The Rotary Club of Kahului will welcome Kit Zulueta, owner of Mystery Maui Escape Room, to its weekly meeting from noon to 1 p.m. Monday at Tante’s Island Cuisine, located at 100 W. Kaahumanu Ave. in Kahului. Zulueta will talk about a brief history of escape rooms, also known as “real escape games,” and how the experience promotes leadership and teamwork among the players. A mobile game will be prepared for the participants to have a taste of what it is and to learn about how viable the method is for team building and as an educational tool. Zulueta has a background in film and events management. She currently works as marketing director for University of Hawaii Maui College. 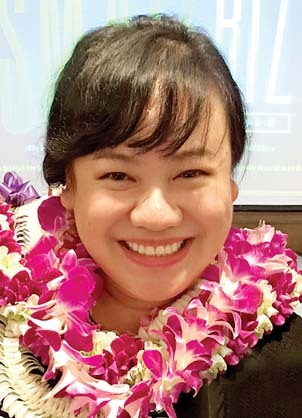 She opened Mystery Maui Escape Room in Wailuku in March 2018 in an effort to add options to Maui’s night life and fun things to do. Lunch costs $20. For more information about Rotary, contact club President Gary Albitz at (808) 281-9672 or albitzkrotary@gmail.com. The Maui Puerto Rican Association is sponsoring La Cocina Boricua (the Puerto Rican Kitchen), a series of culinary workshops focusing on Puerto Rican foods. Migdalia “Mikki” Morales Perricelli, a native of Puerto Rico, is the featured cook for the first demonstration, which takes place from 10 a.m. to 12:30 p.m. Saturday at Heritage Hall, 401 Baldwin Ave. in Paia. Perricelli will prepare arroz con habichuelas guisadas (rice and red beans), mofongo (chopped green plantains sauteed in olive oil with garlic and chicharon), topped with camarones (shrimp) in a red sauce. Dulce de lechosa, a papaya dessert, completes the cooking workshop. A luncheon will follow, featuring the above dishes. The price is $15 per person and printed copies of the recipes will be provided. Space is limited. Reservations are being accepted at Heritage Hall by calling 243-0065. Surfrider Maui is seeking Ocean Guardian Award nominations in the categories of community member, ocean athlete and business. Nominees should embody Surfrider Maui’s mission to protect our island’s ocean, waves and beaches. Winners will be honored during the third annual Ocean Guardian Awards Dinner. The deadline to submit materials to chair@maui.surfrider.org is 5 p.m. Aug. 24. For more information, visit maui.surfrider.org/ocean-guardians. The dinner will take place Oct. 27 at Andaz Maui. For table sales and sponsorship opportunities, email Josh Sewell at executive.board2@maui.surfrider.org. The Flatbread Co. in Paia is hosting a benefit night for the Maui Forest Bird Recovery Project from 5 to 10 p.m. Tuesday. A portion of the profits will go to the conservation of Maui’s native birds. There will be a small silent auction of fun bird items, gift certificates and local art. A free introductory course in passage meditation will be offered by the Maui Passage Meditation Group on Wednesdays from 6:30 to 8 p.m., beginning Wednesday and continuing Aug. 22, 29 and Sept. 5 at Unity Church of Maui, 483 S. High St. in Wailuku. The course will help attendees establish a daily practice of passage meditation. In this method, developed by Eknath Easwaran, participants meditate on inspirational passages from the world’s great wisdom traditions. Members of any faith and life philosophy are welcome, and no previous meditation experience is necessary. To register, contact catherine808meditation@gmail.com or (702) 670-2024. The Men’s Cancer Support, Advocacy & Educational group has initiated a new interactive support platform for its bimonthly meetings. Men are welcome to join in by calling (646) 749-3129 between 5:30 and 7 p.m. Wednesday and entering the access code: 222-583-973#, #. Instructions for joining via computer or smartphone can be found at pacificcancerfoundation.org, or by phoning moderator Peter Kafka at 298-1655. These live, interactive phone-in meetings are designed to empower men to deal with what can often be a life-changing diagnosis. The Pacific Cancer Foundation and AnCan.org are the sponsoring organizations. 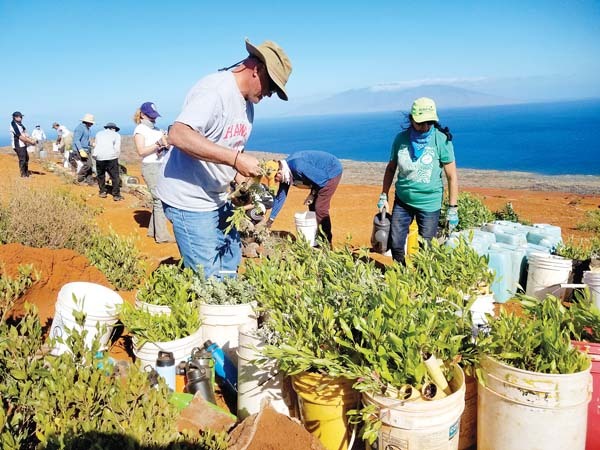 The Realtors Association of Maui will celebrate its 50th annual installation event from 10 a.m. to 2 p.m. on Sept. 7 at the Four Seasons Resort Maui in Wailea. “Aloha in Our Community . . . Housing for Everyone” is the theme to guide the organization forward through 2018-19, according to an announcement. Tickets are $65 per person. RAM members should go to www.ramaui.com/register. For nonmembers and table reservations, call 873-8585, ext. 5. American Association of University Women’s Lunch Bunch will meet at noon Tuesday at Casanova Italian Restaurant in Makawao. RSVP to Sara Green at aauwlunchbunch@gmail.com with Lunch Bunch in the subject line or send text to (907) 350-4700. Casanova is located at 1188 Makawao Ave.
Pacific Cancer Foundation is offering a free six-week cancer survivorship workshop to Maui’s cancer community. The first workshop will be from 9:30 a.m. to noon Sept. 6 at the J. Walter Cameron Center in Wailuku. The workshop is an evidence-based program developed by Stanford University to teach those affected by cancer the necessary skills and techniques to “thrive and survive” during and after cancer care. “The skills that are learned throughout this series really benefit the day-to-day life of a cancer survivor,” said Nancy La Joy, Pacific Cancer Foundation’s executive director. Space is limited. To register, call 242-7661 or visit pacificcancerfoundation.org for more information.